Also see Islands by Kayak; Cave Paintings by Mule. 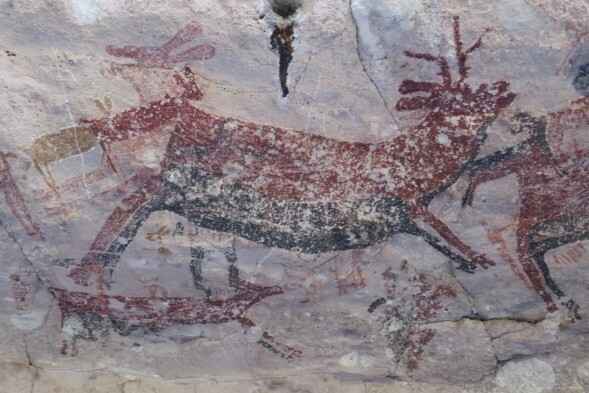 The Sierra San Francisco is one of Baja’s World Heritage areas for the vibrant and lively cave paintings they harbor. 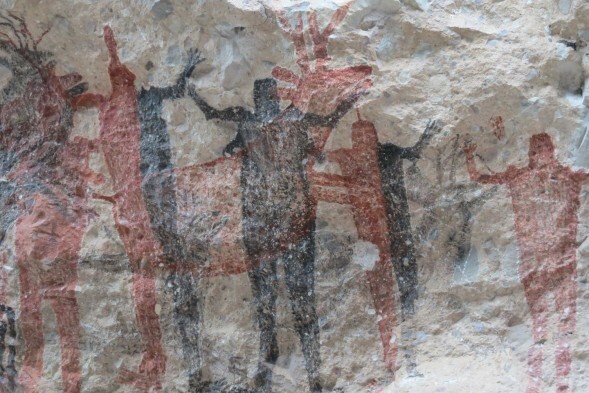 The mysterious origins of the paintings coupled with their super-human size and their height above the ground led some to believe they were painted by a race of giants. They pre-date the native people encountered here by the Padres. With those Padres came a military force to support them. 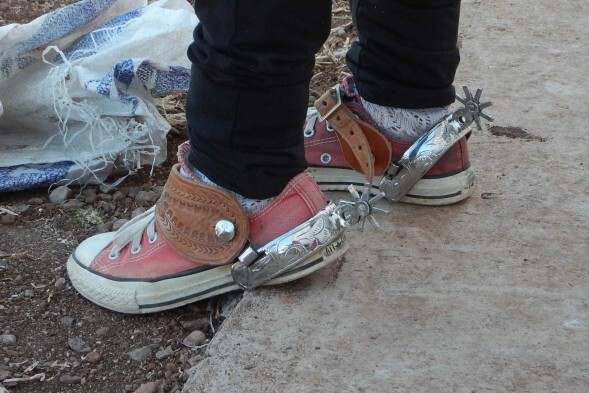 The tenacious ranch culture here today descends from the union of military and native people. 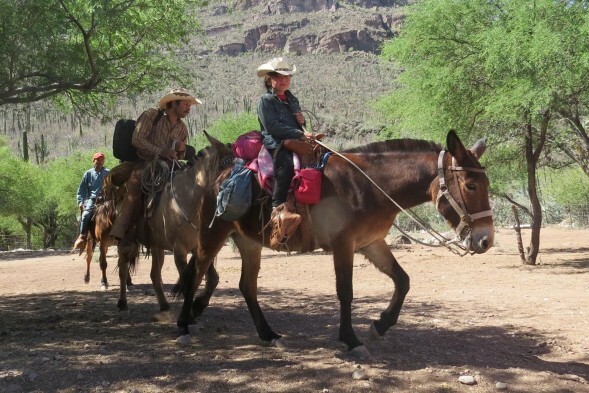 Ride a mule or hike for 5 days, immersed this landscape and hosted by its inhabitants. To get there from Loreto, we ride in a private van to San Ignacio, past Baja’s most recent eruption, the Tres Virgines volcano. Visit the mission at San Ignacio with its impressive stonework and its well-labeled garden of native plants, and the town square lined with huge trees. 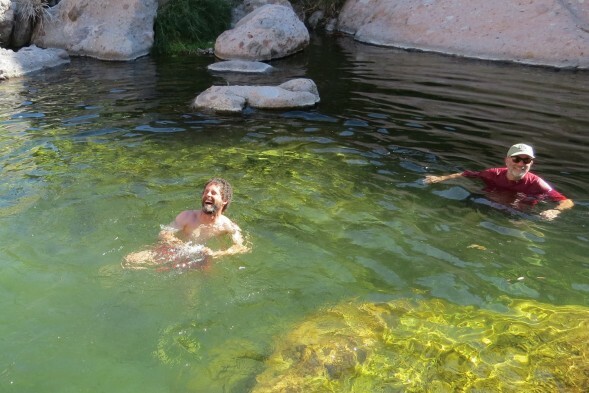 Stay at the Ignacio Springs Bed & Breakfast by the freshwater lagoon to an amusing chorus of coots and bullfrogs. Stay here again on the way back to Loreto. 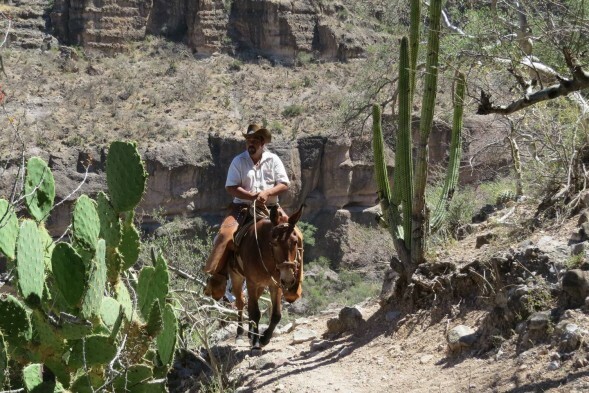 Meet your cowboy guides who, along with your SKBM guides, will take you deep into the canyon and to the painted caves. 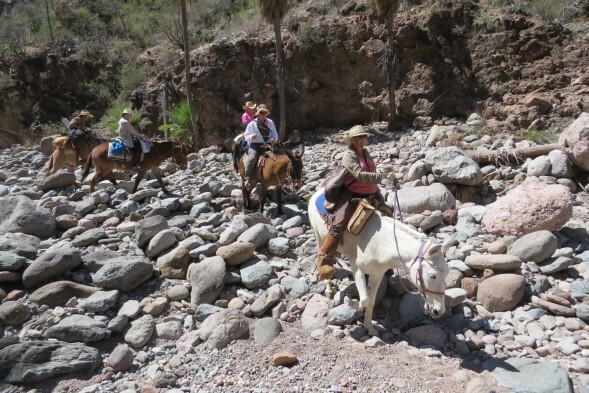 The way is rough and steep but the mules are sure-footed. Cave paintings are accessible only by foot, which does require a moderate degree of fitness and confidence on loose terrain along sometimes steep canyon walls. Hiking the entire trip is also an option for the fit. 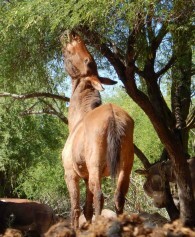 Read the Cave Art & Cowboys mule trip blog. For a kayaking & mule trip combo please see Islands & Cave Art Combo.